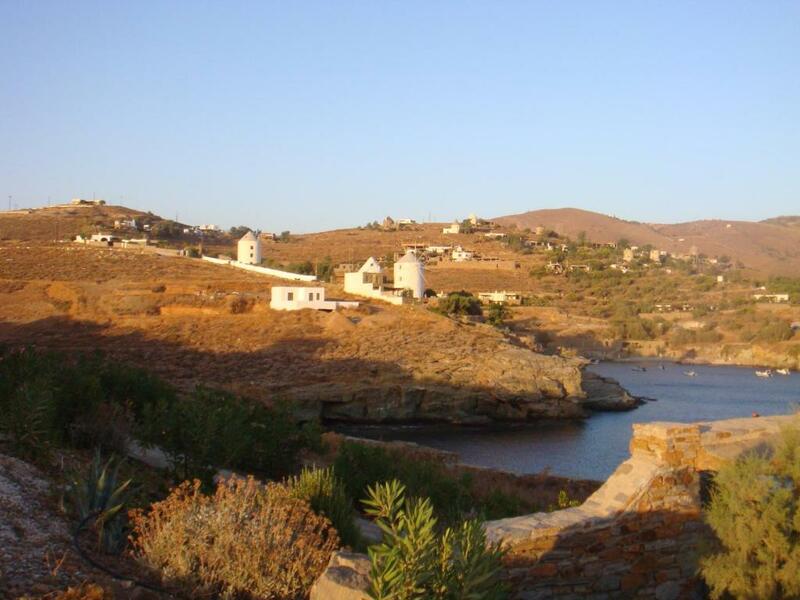 Located in Koundouros, this air-conditioned villa features a terrace with sea views. Guests benefit from free WiFi and private parking available on site. There is a seating area, a dining area and a kitchen complete with a dishwasher and an oven. A TV with satellite channels, as well as a computer are provided. Other facilities at Villa CIGALE include a barbecue. You can engage in various activities, such as snorkeling and windsurfing. 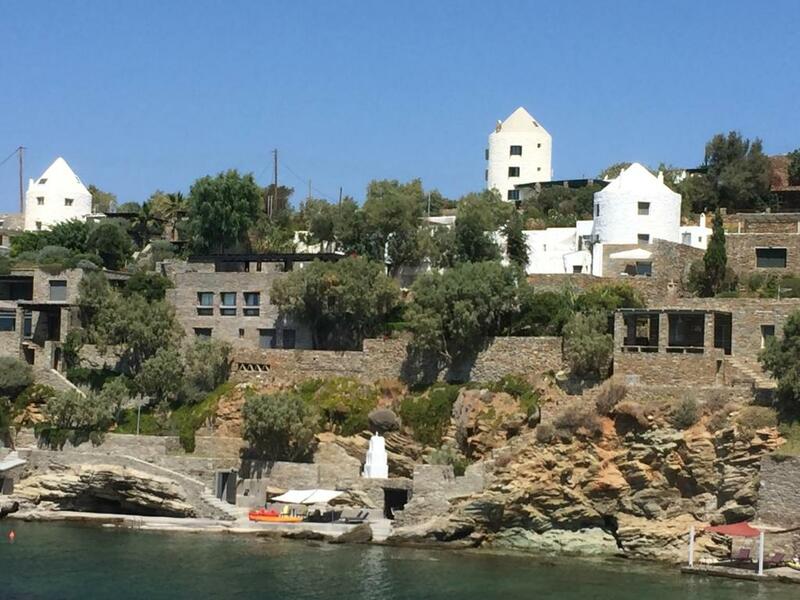 When would you like to stay at Villa CIGALE? 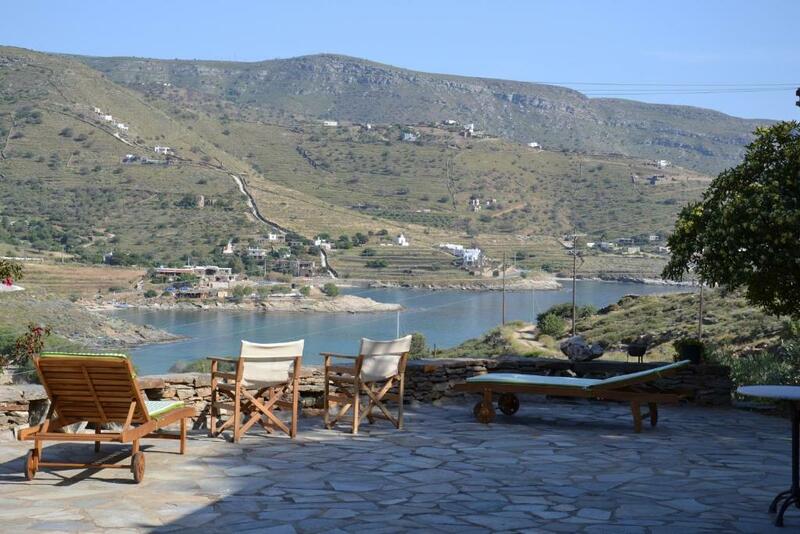 The villa is in a calm site of Koundouros has a large rock-garden, ideal for relaxing holidays. 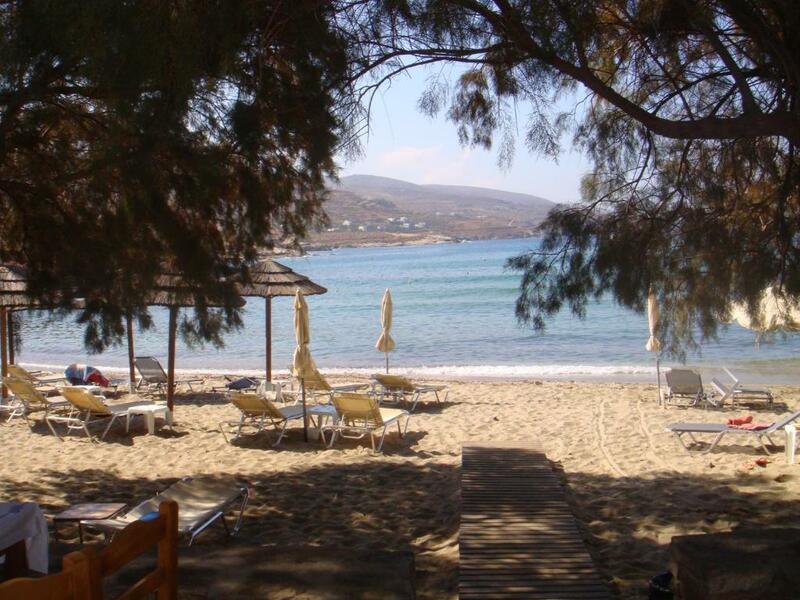 A "Blue flag sandy beach" is at 250 m walking distance. It sleeps comfortably 8 + 2 people. It is a traditional built stone house with a large terrace in front overlooking at sea. Pergolas around the house safeguard resting areas throughout the day. Furnished with fully equipped kitchen, exterior tables, barbecue, wood-oven, directors’ chairs etc offers space for outside living, dining and playgrounds. We are a fish related family, Andreas (the owner) and one of his two daughters are fisheries biologists, studied in Japan. His wife Akemi, is specialist in shushi making and not only and manages an artisanal business of "hoshigaki" (dried persimmons) . Our second daughter, after her bachelor studies at INALCO and IRIS (France) on Japanese language and development, worked in Africa and now in Tokyo is mastering yoga and "shiatsu" (therapeutic massage). 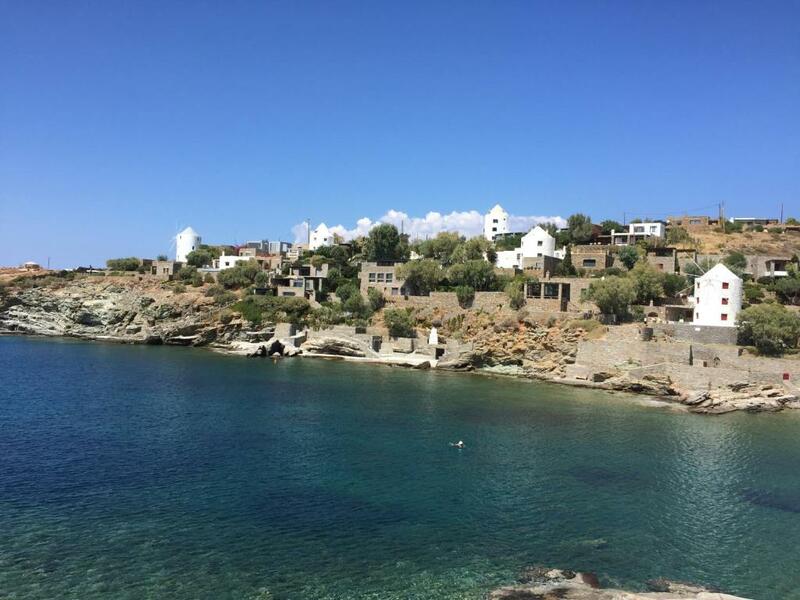 The rental property has no swimming pool, it is too close to the sea, in the renowned sandy beach of Koundouros, ranked annually with a "Blue-Flag" European award for its translucent waters, quality and safety. This beautiful seashore is only 250 meters away from the villa Cigale, is well protected from seasonal "meltemi" winds and has a mild gradient appropriate for young kids. 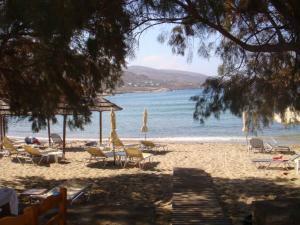 Many smaller, empty beaches are also near-by the house, in the golf of Koundouros and around the island. 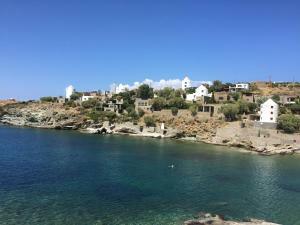 A few restaurants and bars are situated in close proximity to the villa, but the area by no means is a crowded. 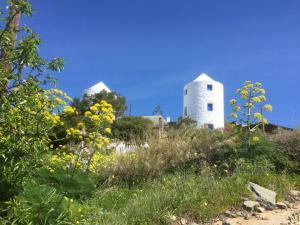 Therefore, the use of a car is necessary for shopping and sightseeing around the island. Walking close to the sea is always safe and recommended. House Rules Villa CIGALE takes special requests – add in the next step! A damage deposit of EUR 400 is required upon arrival – that's about 445.76USD. This deposit is fully refundable at check-out as long as there's been no damage to the property. Please inform Villa CIGALE of your expected arrival time in advance. You can use the Special Requests box when booking, or contact the property directly using the contact details in your confirmation. We need at least 5 reviews before we can calculate a review score. If you book and review your stay, you can help Villa CIGALE meet this goal. There are four bathrooms, but the showerhead is just attached at waist height on the wall, so don't expect a power shower. The driveway is very steep, so be prepared to put your best driving skills into practice. (The price to pay for great views from the terrace). The island in general has some rough roads so a 4x4 is recommended. 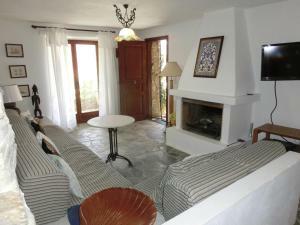 A charming four bedroom villa in a quiet location with great views over Koundouros beach. The owner had left us a welcome pack with everything we could ever need (local honey, greek yogurt, fruit, wine). My wife forgot two dresses there and the owner was kind enough to hand deliver them to our place in Athens a few weeks later.